Welcome to Madrone Village at the west end of Winslow and this fabulous flat in the Sovereign Building. 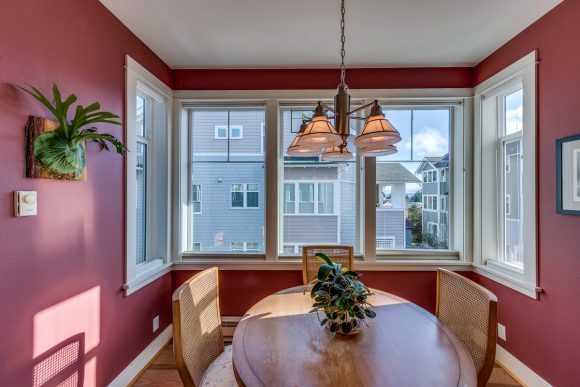 Constructed with quality and care by Fairbank Construction in 2006, this flat was one of the first sold in the complex because of its sunny southern exposure, prime outlook (it does not face another building), and peek-a-boo views of Seattle and the Sound. 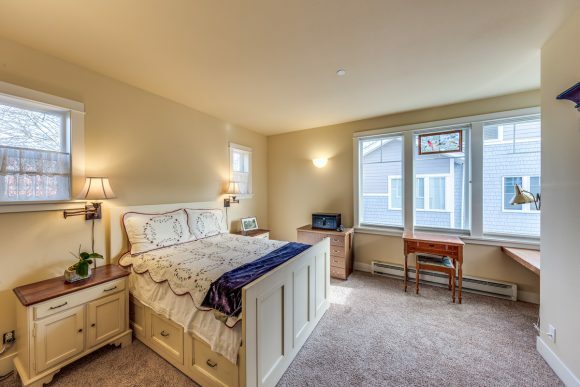 Convenient one level living and high end finishes, right in the heart of Winslow. Hurry and come see this one for yourself. The Sovereign Building in Madrone Village. 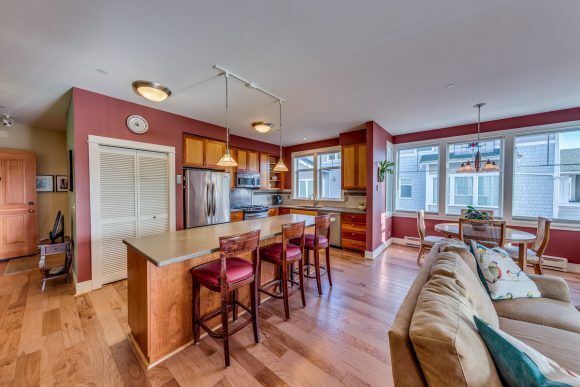 Open floorplan and high end finishes like cherry wood cabinets, solid surface counter tops and hickory wood floors. Terric southern exposure and open living spaces. 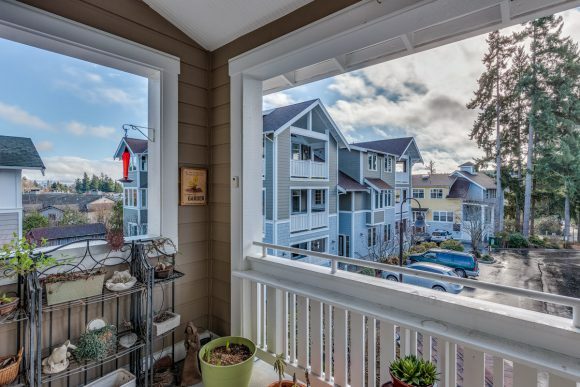 A large south facing deck with peek-a-boo views of Seattle and the Sound. This building is unique in the complex as it does not directly face another building. Walls of windows throughout the home. Large master suite with a five piece master bath. Five piece master bath with cherry cabinets and a double sink. 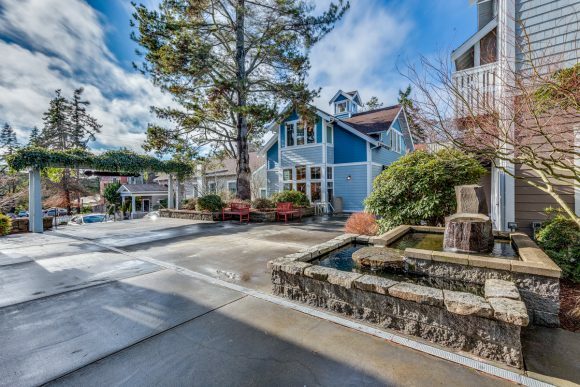 The courtyard at desirable Madrone Village. 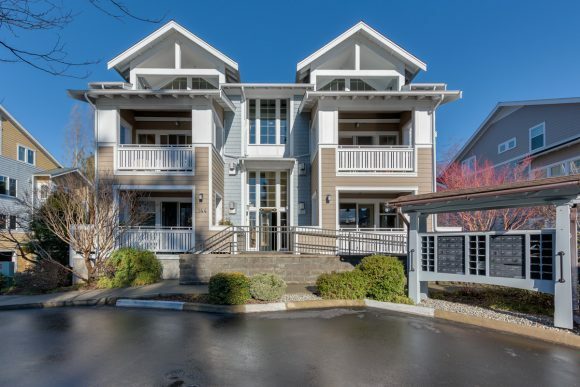 Experience coveted in-town living on one level in this well-appointed Madrone Village flat. 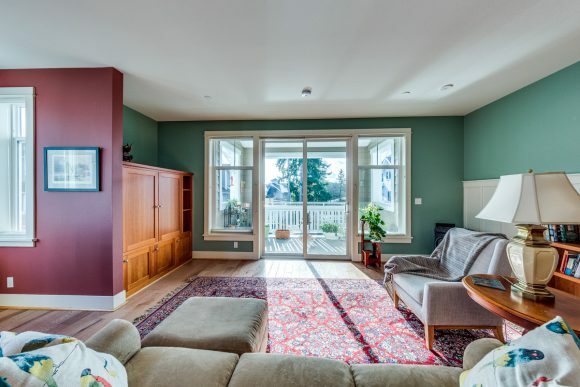 Prime location with great open outlook and peek-a-boo views of Seattle and the Sound. 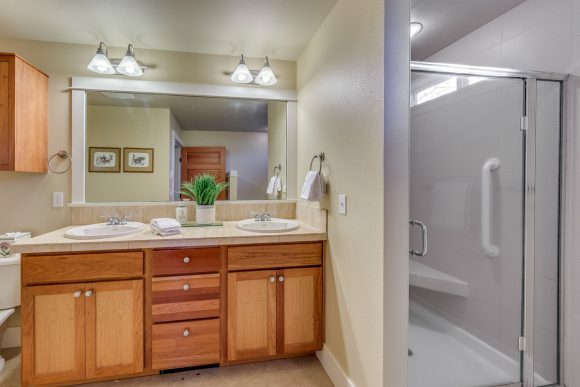 Quality craftsmanship with newer wood floors, solid surface counters, tile backsplash and stainless steel appliances. Chef’s kitchen opens to large living area and south facing deck. Walls of windows for maximum sunlight. No shared walls, secure entry, elevator from parking garage, storage unit. HOA dues cover water/sewer/garbage/landscaping/exterior maintenance.